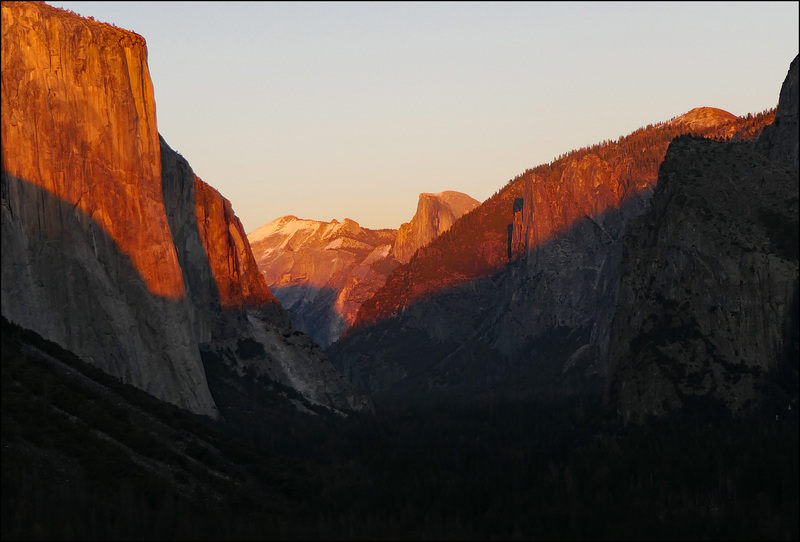 Here’s an interesting thing: Half Dome at sunset looks redder in a photo than in real life. It’s not hugely different, but it’s noticeable—and it’s not just my camera, either. 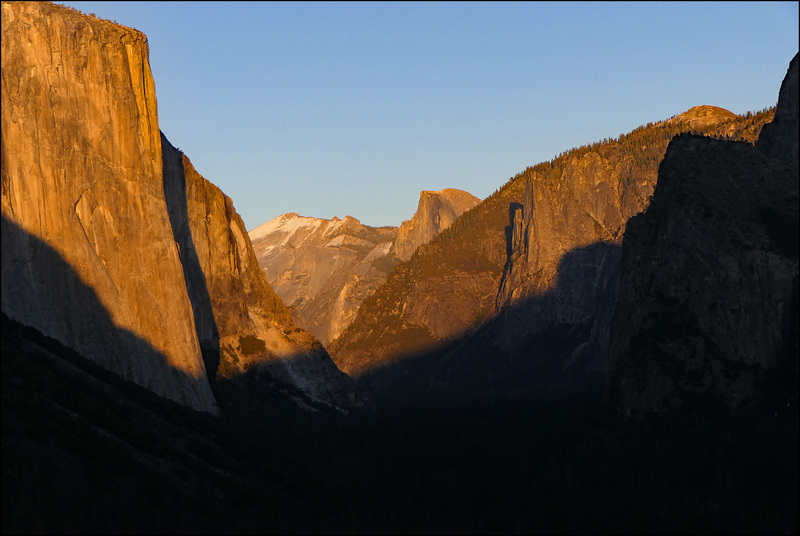 I noticed this while I was shooting from Tunnel View, so I started looking around at other people’s cameras. They were all the same. This is probably because the white balance of the camera is set to sunlight, so it interprets the sunset as a little redder than it really is. This could be adjusted, but I’m not sure precisely what setting would be best. 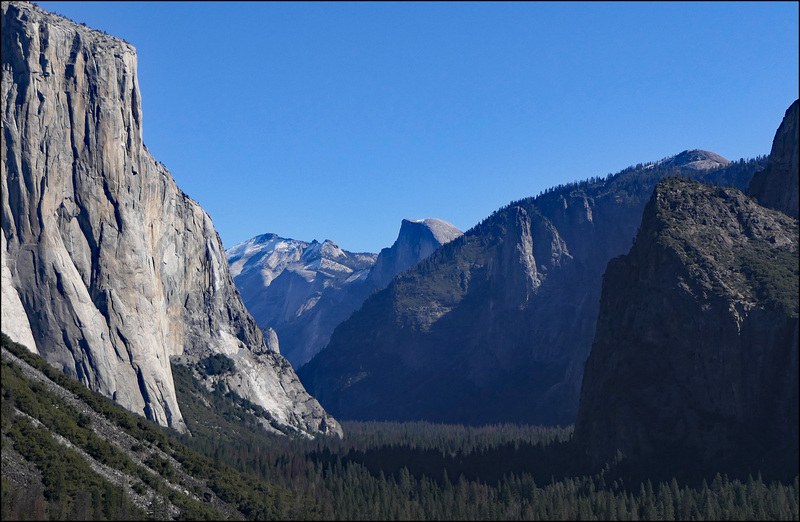 Three of these pictures are from the exact same spot because I happened to pass by Tunnel View several times during our visit. 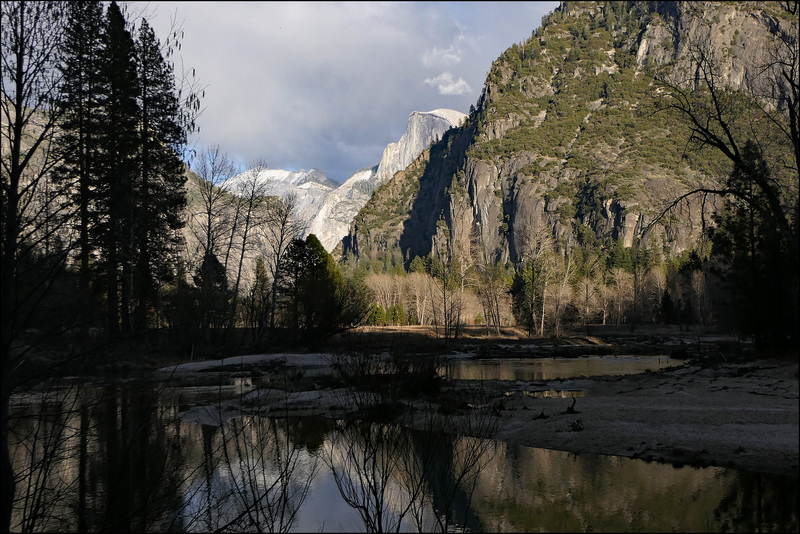 However, I wasn’t there in late afternoon, so that picture is from the Valley floor, somewhere along the Merced River. We had terrific light during this trip. The sky was clear, temps were in the 40s, the morning sun was bright and sharp, and the evening sun was a gorgeous red. From a photographer’s point of view, we got really lucky. Naturally you’ll see the results, scattered amongst the lunchtime photos for the next few months.